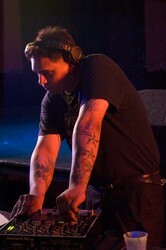 DJ Howie Rivet is bringing a new soundscape to the dance and night club scene! Howie mixes and blends some of the best electro-house, progressive house, and trance you will encounter. His goal is to provide an environment centered around the people and to provide an atmosphere that is both friendly and welcoming to all. He wants you to come join his musical family and enjoy the nights with some of the best music and vibes around.